Unbeatable Squirrel #1 cover. All art/words credited in images to Ryan North, Erica Henderson, Rico Renzi, and Travis Lanham unless otherwise stated. This month marks 25 years since Doreen Green entered the world of Marvel Comics as Squirrel Girl, although her true road to becoming one of the greatest Marvel heroes around didn’t really begin until her excellent series Unbeatable Squirrel Girl kicked off in 2014. To celebrate her 25th anniversary, here are 25 of the best moments from this most fabulous of comic books. Unbeatable Squirrel Girl #16. Guest art by Steve Ditko. This, from this week’s 25th Anniversary special issue, is amazing, because it’s literally Steve Ditko art from her first ever story in Marvel Super-Heroes Vol. 2 #8. These Deadpool-branded trading cards are Doreen’s key guide to all of her opponents. They’re also consistently hilarious. Pro-tip: Superhero costumes made out of normal fabric are totally fine and unlikely to come to life/turn you evil. “House of Mmm” is also excellent. It’s literally made out of Squirrels! Has the Punisher ever actually looked so happy before? Koi Boi, Chipmunk Hunk, and of course, Doreen’s BFF Nancy Whitehead are all great. But introducing them to other superheroes tends to get a bit ... complicated. Accomplished while Doreen was trying to figure out if Nancy actually has any animal-based powers. Sidenote: This is also the best version of Galactus in a comic book, hands down. And many other things, but dinosaurs especially. Aside from being unbeatable, Squirrel Girl’s actual superpower is her ability to actually settle many conflicts by just actually talking to her potential opponents (and then kicking their butts if things go awry). Sometimes, a comic book cover is indeed too good. Thanks to Secret Wars, USG managed to get not one, but two #1 issues out in the same year. This is the perfect celebration. The fighting game mash-up we need. Covers for Unbeatable Squirrel Girl #3, #13, and #8. The covers for this book are consistently excellent. Check them all out here and here. 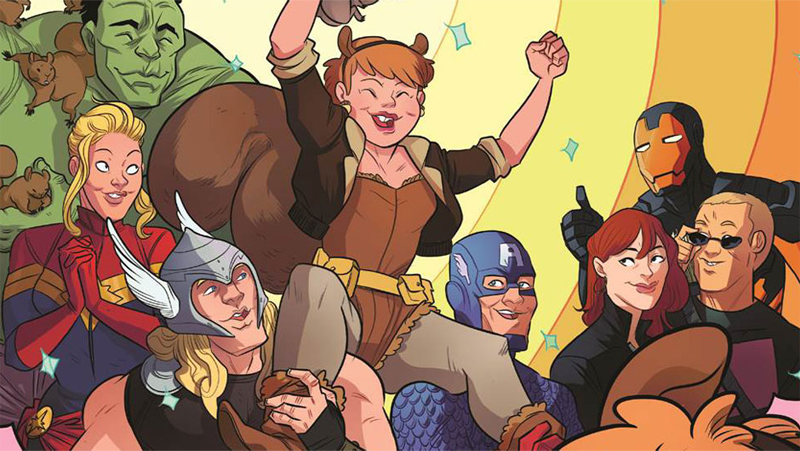 Unbeatable Squirrel Girl #7 is the first issue of Squirrel Girl with replayability! 8) Bonding With Galactus Over... Thanos? Like I said, best version of Galactus in a comic book, hands down. Unbeatable Squirrel Girl #11. Guest Art by Jacob Chabot. 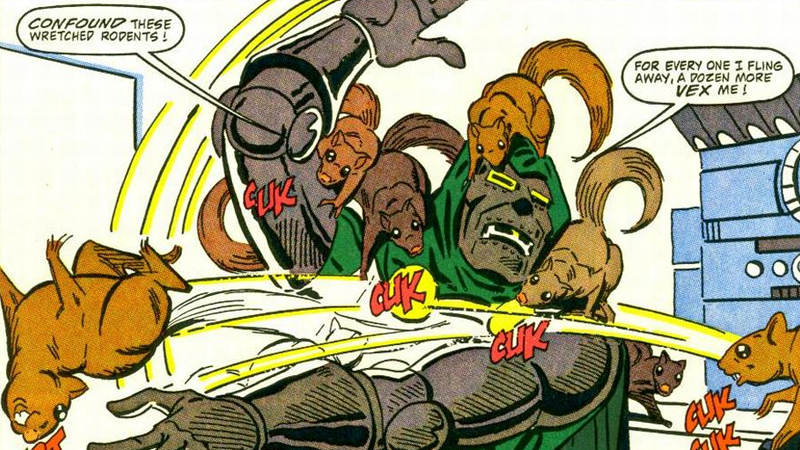 Which directly led to the most metal moment in comics last year. To be fair, they were being very rude. When Loki offers to transform himself to show off to Nancy, this is the result, and let me tell you Thor hates it so much. Also, it’s pretty obvious that Nancy has been thinking about Cat Thor for quite some time before having this opportunity. Because what else do you do after beating up Galactus and saving the world? Spot the difference. Hint: The difference is girls.